Polyester microfibers are spun and cut into short staple lengths, then are bound in a polyurethane base (88% recycled polyester, 12% polyurethane). Polyester is made from crude oil, and is the terminal product in a chain of very reactive and toxic precursors. Most are carcinogens: all are poisonous. The manufacturing process requires workers and our environment to be exposed to some or all of the chemicals produced during the manufacturing process. There is no doubt that the manufacture of polyester is an environmental and public health burden that we would be better off without. Polyesters contain many hormone disrupting chemicals that have been more in the news lately. Polyurethane used in this process is usually made from toluene diisocyante (TDI) which is highly toxic. It is, in fact, the most toxic plastic known next to PVC. Polyurethane manufacture creates numerous hazardous by-products, including phosgene (used as a lethal gas during WWII), isosyanates (known carcinogens), toluene (teratogenic and embryotoxic) and ozone depleting gases methylene chloride and CFC’s. From Wikipedia: No exposure limits have been established by OSHA (Occupational Safety and Health Administration) or ACGIH (American Conference of Governmental Industrial Hygienists). It is not regulated by OSHA for carcinogenicity. Polyurethane polymer is a combustible solid and can be ignited if exposed to an open flame. Decomposition from fire can produce mainly carbon monoxide, and trace nitrogen oxides and hydrogen cyanide. The production of polyester uses antimony as a catalyst, which has been classified as a carcinogen in the State of California since 1990 and a class 3 carcinogen by the EU. What is not mentioned by Sensuade is that polyester production produces a large quantity of CO2 emissions: the production of polyester generates particulates, CO2, N2O, hydrocarbons, sulphur oxides and carbon monoxide,acetaldehyde and 1,4-dioxane (also potentially carcinogenic). The major water-borne emissions from polyester production include dissolved solids, acids, iron and ammonia. Water treatment throughout the production process would be essential for any polyester product to make a claim to being green. But Oeko-Tex 100 has no such requirements at all. Oeko-Tex 100 was a decent start when it was first introdcued twenty years ago, but fabric certifications have come a long way since then in recognizing the envirnomental costs and harm in textile production. Oeko-Tex 1000 is a good standard, but there are very very few mills in the world so certifed. But Sensuade is Oeko Tex 100 certified? How can that be? Because Oeko Tex 100 tests the finished fabric only – and only for process chemicals which are normally used in textile production and which may remain residue in the fabric, not having been washed out in the production steps. Many fabrics made of synthetic fibers can be Oeko Tex 100 certified because the list of chemicals tested for doesn’t include the chemicals found in the fibers. So the dyes used in Sensuade are benign, but the fibers (polyester and polyurethane) are not. And Oeko Tex doesn’t require water treatment, which is critically needed to prevent the water borne emissions from polyester and polyurethane production from entering our groundwaters. And Sensuade doesn’t mention anything about capturing emissions. Is it safe because of the Oeko Tex certification? Remember, each time you sit down microscopic particles abrade and fly into the air, so you can breathe them in. So you’re not eating the fabrics, but your body is porous – the environment isus. Gruttner, Henrik, Handbook of Sustainable Textile Purchasing, EcoForum, Denmark, August 2006. How does this topic relate to the textile industry? Well, it just so happens that the textile industry is huge – and a huge producer of greenhouse gasses. The textile industry, according to the U.S. Energy Information Administration, is the 5th largest contributor to CO2 emissions in the United States, after primary metals, nonmetallic mineral products, petroleum and chemicals. Your textile choices do make a difference – next week we’ll take a look at why. Newtok is one example of what the United Nations Intergovernmental Panel on Climate Change warns is part of a growing climate change crisis that will displace 150 million people by 2050. 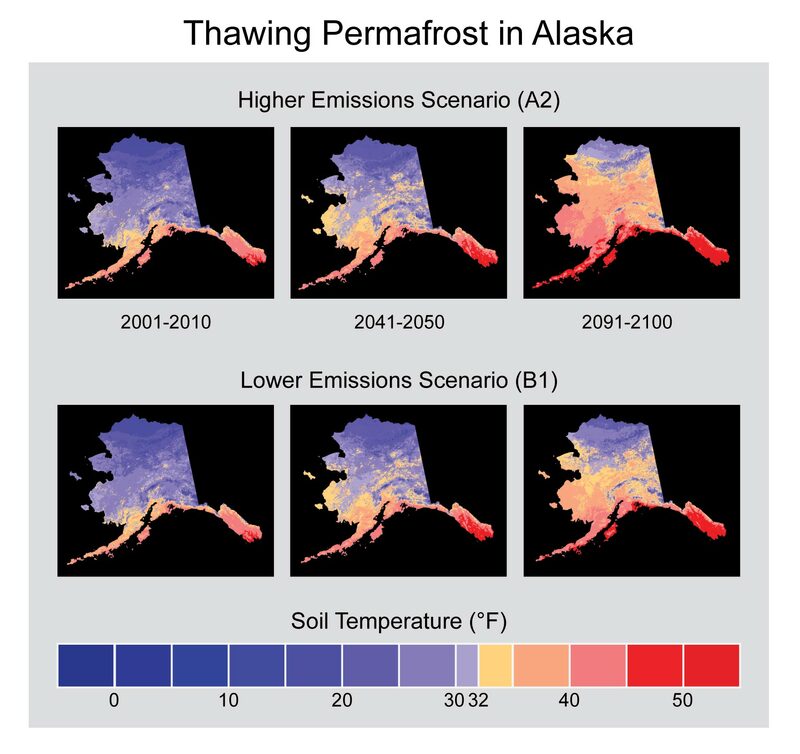 Climate change is impacting Alaska and Arctic areas disproportionately because shiny ice and snow reflect a high proportion of the sun’s energy into space while the exposed rock and water absorb more and more of the sun’s energy, making it even warmer. Arctic areas, including Alaska, are warming about twice as fast as the rest of the world. In 2012, Arctic sea ice coverage hit the lowest level ever recorded, and by 2040, it is predicted that summer sea ice could be limited to the northern coasts of Greenland and Canada. But the cities and towns of the east coast of the United States are waking up to their own version of climate change – in the form of storm surges from hurricane Sandy. About half of America’s population lives within 50 miles of a coastline. Today, more than 180 native communities in Alaska are facing flooding and losing land as warming temperatures are melting coastal ice shelves and frozen sub-soils, which act as natural barriers to protect villages against summer deluges and ocean storm surges. One of these villages is Newtok, an Eskimo village on the banks of the Ninglick River and home to indigenous Yup’ik Eskimos. The river coils around Newtok on three sides before emptying into the Bering Sea. The river has steadily been eating away at the land, carrying away 100 feet or more in some years, in a process accelerated by climate change. It is estimated that the local school, on the highest point of land in the village, will be under water by 2017. Newtok may well be the site of some of the planet’s first climate refugees. “Climate refugee” usually refers to a people displaced from their homes by the impact of a changing climate – although the strict definition of a refugee in international law is more narrow – including people displaced by war, violence or persecution, but not environmental changes. The first image that usually springs to mind for climate refugees are small tropical islands in the Pacific or of a low-lying delta like those in Bangladesh, where inhabitants have been forced out of their homes by sea-level rise. But given the rapidity of the changes in the Arctic regions, this image is about to become more diverse. But as with most things these days, the variables are complex: As applied to Newtok, the term “climate refugees” is somewhat ironic, given that the Yup’ik were nomadic by nature, migrating over the permafrost. In the 1950s the U.S. government told the Yup’ik that their nomadic lifestyle was no longer acceptable, they had to settle in one location so their children could go to school. The Yup’ik begrudgingly accepted, settling in Kayalavik, a village of sod huts, farther north. When Alaska became a state in 1959, federal officials began to pressure the Yup’ik to relocate, as the Kayalavik village was harder for supply barges to access. Eventually the ill-fated decision was made to relocate the tribe to Newtok — a seasonal stopping place for the tribe’s late-summer berry picking. The U.S. Army Corps of Engineers has estimated that moving Newtok could cost $130 million. Twenty-six other Alaskan villages are in immediate danger, with an additional 60 considered under threat in the next decade, according to the corps. But as the villagers of Newtok are discovering, recognizing the gravity of the threat posed by climate change – and responding in time are two very different matters. Since the first meeting in December 2007, at which the villagers held the first public meeting about the move, little has been done, tethered to a dangerous location by bureaucratic obstacles and lack of funds. In considering fabric for your sofa, let’s be altruistic and look at the impact textile production has on global climate change. (I only use the term altruistic because many of us don’t equate climate change with our own lives, though there have been several interesting studies of just how the changes will impact us directly, like the one in USA Today that explains that wet regions will be wetter, causing flash flooding; dry regions will get drier, resulting in drought. 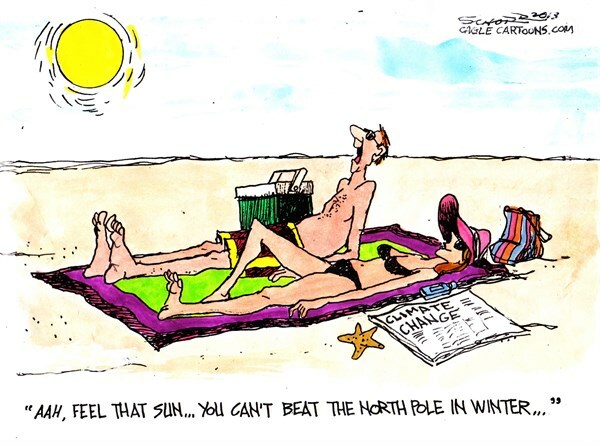 And … a heat wave that used to occur once every 100 years now happens every five years (1)). Although most of the current focus on lightening our carbon footprint revolves around transportation and heating issues, the modest little fabric all around you turns out to be from an industry with a gigantic carbon footprint. The textile industry, according to the U.S. Energy Information Administration, is the 5th largest contributor to CO2 emissions in the United States, after primary metals, nonmetallic mineral products, petroleum and chemicals. And the US textile industry is small potatoes when compared with some other countries I could mention. Last week we explained that a typical “quality” sofa uses about 20 yards of decorative fabric, plus 20 yds of lining fabric, 15 yds of burlap and 10 yds of muslin, for a total of 65 yards of fabric – in one sofa. (2) Next, add the energy used to weave those yarns into fabric. Once any material becomes a “yarn” or “filament”, the amount of energy and conversion process to weave that yarn into a textile is pretty consistent, whether the yarn is wool, cotton, or synthetic. and supports organic farming (which has myriad environmental, social and health benefits). A study published by Innovations Agronomiques (2009) found that 43% less GHG are emitted per unit area under organic agriculture than under conventional agriculture. A study done by Dr. David Pimentel of Cornell University found that organic farming systems used just 63% of the energy required by conventional farming systems, largely because of the massive amounts of energy requirements needed to synthesize nitrogen fertilizers. Further it was found in controlled long term trials that organic farming adds between 100-400kg of carbon per hectare to the soil each year, compared to non-organic farming. When this stored carbon is included in the carbon footprint, it reduces the total GHG even further. The key lies in the handling of organic matter (OM): because soil organic matter is primarily carbon, increases in soil OM levels will be directly correlated with carbon sequestration. While conventional farming typically depletes soil OM, organic farming builds it through the use of composted animal manures and cover crops. Earth Day is coming up and I am having a hard time with climate change. It’s such a big, complicated issue. Climate change, according to Columbia University’s Center for Research on Environmental Decisions (CRED), is inherently abstract, scientifically complex, and globally diffused in causes and consequences. People have a hard time grasping the concept, let alone taking action. What can one person do to have an impact on such an overriding problem? Turns out I’m not the only one who thinks that way. Research shows that most Americans are aware of climate change and even rank it as a concern, but they don’t perceive it on a par with, say, the economic downturn or health care reform. According to CRED, most Americans do not currently associate climate change with disastrous impacts, such as drought, extreme weather events, and coastal flooding. 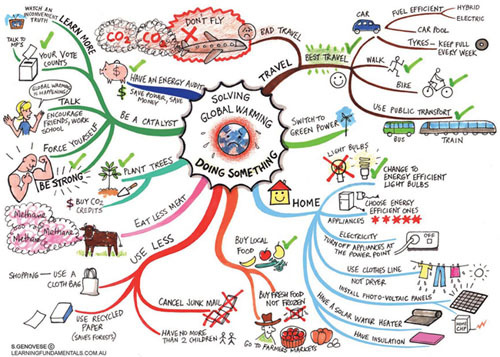 And although most people can recite at least a few things they could do to help mitigate global climate change (like replacing light bulbs or carrying reuseable grocery bags) – most are not doing them. I’m ashamed to say, I’m in that category. I forget my grocery bags. I use the car when I should really walk. I wash dishes by hand rather than using the dishwasher. (What’s that? Did you know that a running faucet can waste 2.5 gallons of water every minute! So if I do the dishes by hand and it takes me 15 minutes, I’ve just wasted 37.5 gallons of water. It’s better for me to run the dishwasher – which uses only 11 gallons of water per use – even if it isn’t full. But I’m an old dog and habits die hard.) It’s not easy, is it? Don’t you just feel like throwing up your hands? I’m faced with decisions every day in our fabric collection that could have far reaching effects – for example, a supplier wants to know if it’s o.k. to use the mill which has antiquated water treatment because that mill is closer (thereby reducing the energy needed for transport) and, not least, they’re cheaper! There it is again – Cost. The bottom line in most decisions. And if we decide to go with the sub optimal water treatment, we might gain a cost advantage (so YOU might buy the fabric) but what will it mean in terms of the health of our children and the kind of world we leave them? Each day I do more research into the effects that synthetic chemicals are having on us and our environment. It chills me and I really believe that we’re causing ourselves harm. We’re playing Russian roulette with the chemical mix we allow in our systems – thinking that since we’re not sick now it’s really nothing we have to worry about. I absolutely believe that long term effects of our love affair with synthetic chemicals will be profound and that we must do something to stem the tide. I proselytize to expectant mothers (I can’t help myself) about using organic fabrics and mattresses for their infants and themselves – because much of the research shows exposure in utero is when the most harm can be done. But research also shows that future consequences are discounted, so people think they’ll just put off thinking of this until they have more time. I guess what I’m getting at is the fact that we still behave in destructive ways – we don’t buy organic foods because it costs more (and it’s not gonna kill us – tomorrow, anyway), we forget our reuseable grocery bags and we don’t take the time to replace light bulbs. It’s like losing weight or exercising – we know it’s good for us, but we still don’t do it. A report entitled The Psychology of Climate Change Communication, released by CRED, looks at how people process information and decide to take action … or not. It seems people can deal with only so much bad news at a time before they tune out. Social scientists call this the “finite pool of worry”. And for really big threats like climate change, people are likely to alleviate their worries by taking only one action, even if it’s in their best interest to take more than one action. For Americans, recycling has become the catchall green measure, the one action that anybody can do and feel that they’re doing something. As with every action, there are costs and benefits. The recycling of some products, such as computers and other electronics, creates a more severe strain on the environment that do other types of products, such as newsprint. Again, even this topic is so fraught with subtleties and variety that dissecting it is hard. I’d like to focus on plastics because the textile industry has concentrated sustainability efforts on recycled polyesters – many fabric collections claim green credentials because certain of their fabrics are made of recycled, rather than virgin, polyester. And we all smile and pat ourselves on the back because we’re doing something – and hey, it doesn’t even cost any more. Polyester is just one of the many plastics that are in use today; plastic recycling – bottles, packaging, bags – has been adopted as the mascot of our green efforts – as one school program says, it “teaches children social responsibility and reinforces learning to respect and take care of the environment”. But what does plastic recycling really accomplish?